What is the role of the U-SU Board of Directors Member? Do you have what it takes to serve of the U-SU Board of Directors? 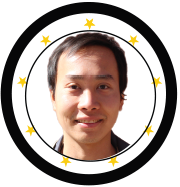 New graduate students who received a bachelor's degree or credential within the past three years from Cal State LA must have earned a total of 18 units during their last year as an undergraduate to be eligible. What Can You Gain from Serving on the U-SU Board of Directors? Rise Up and Represent! Find out more about opportunities to be involved in student government by learning about elected positions available for student leaders with both the University-Student Union Board of Directors and Associated Students, Inc. Students will learn about these engaging leadership opportunities and the process to run for these positions. The Robert's Rule Training is designed for students who participate in organizations operations. Robert's Rules, which is also known as the parliamentary procedure, is used to govern, bring organization, and install order to a diverse range of organizations. After completing this training, students will be ready to partake in rigorous, but organized, highly productive mettings. The U-SU and ASI invite you to join our mock Election activities!. The Goal of our mock Election is to prepare students to be informed, thoughtful, and engaged. It is suggested but not required that students have the opportunity to learn about the electoral process, issues, and candidates!. 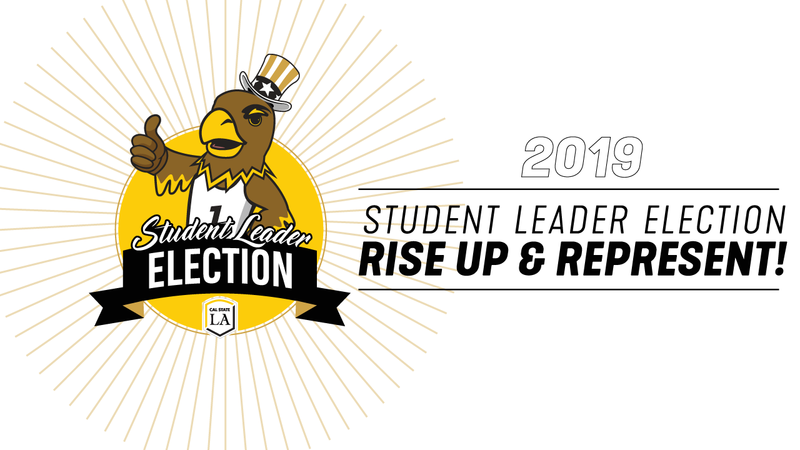 Join the University-Student Union Board of Director and ASI Election Candidates as they showcase their platforms, share their goals, and introduce themselves to the campus community. Golden Eagle Radio will be spinning while you grab food from local Vendors. All students who vote will be able to grab IN & OUT Burger for free while listening to sound selections from Golden Eagle Radio. All students who vote will be able to grab FREE FOOD and mingle with fellow students throughout the day. Meet and mingle with your newly elected 2019-2020 University-Student Union Board of Directors and ASI Administration. 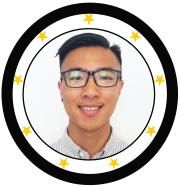 I’m a current student leader on campus with the New Student and Parent Programs department who is equally passionate about student well-being and involvement. My services here include customer services, organization, as well as leadership which have enabled me the development of interpersonal skills amongst colleagues and supervisors. In addition, I was selected for the 2019 Leadershape retreat where I was able to work on my leadership skills with the help of other great leaders and facilitators in collaboration and as a community. My Goal as member of the Student Board of Directors is to create activities and events to connect both students and their supportive friends and families as they journey through their academic experience. 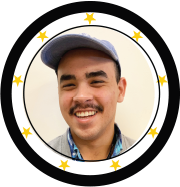 My name is Livan Andres Jimenez Rodriguez and I would be a perfect fit to the U-SU Board of Directors because of past leadership skills I have developed as both a student and student leader on campus. I currently hold the position of event coordinator to the Cal State LA Pre-Law Society and previously held the title of social/member-engagement chair for the organization. In past years, I have attended various welcoming and informative events held by different departments of the U-SU. Having had the blessed opportunity of experiencing what the U-SU can provide for the Cal State LA community, I would love to spread awareness of the resources the U-SU has for Golden Eagles. Being queer and Latinx, it is important to me to feel safe in my academic environment. As a student leader, my goal is to make sure people are heard, feel safe, learn, and most importantly enjoy themselves in our community. There's nothing stronger than a unified community that serves as a safe space for knowledge and cultural expression. As part of board of directors, I hope to continue this vision. I’d make an excellent addition to the U-SU BOD because of the perspectives I bring to the table. Coming from a triple minority background, I feel as though I can give a voice to and represent the underrepresented; our black and LGBTQ+ students. As it stands, I am the cofounder/copresident of a student organization called “Family LA” which emphasizes creating community and pushing for more civic engagement. I’m also a member of the Honors College. This year I hope to boost student awareness/engagement of on-campus resources and opportunities as well as creating a student culture here at Cal State LA. Being a commuter campus, many students go from home to class and then right back home. As a strong advocate for creating community, I believe it is possible for a stronger student body to form and have a culture that can outmatch other campuses. If students are more invested in our school community then we will be able to make greater change happen! I have been on the board for the past 2 years and I will currently be completing my 3rd year. I have worked my way up to the position of Chair and have seen how things work, what it takes to get things done as well as the time it takes to actually make it a reality. I am currently working on bringing some new things to the union and would like to continue that momentum. I want to be able to bring my knowledge and connections to the new board and hit the ground running to bring some new changes as well as a few old events that I was given the opportunity to experience during my first year at Cal State LA. Yet, to be able to do that I would like to work on the connection of the U-SU Board of Directors and ASI. I look forward to making connections with the upcoming ASI administration. I know this may seem like a repeat of prior years, but things are difficult to complete in just one year without looking into logistics first. I've set the foundation for new ideas and changes so I want to complete them and make sure things get done for once. I’m interested in this position because I would like to be a part of making positive changes to the Cal State LA community. I want to serve in a leadership position in order to understand my classmates’ needs and how to improve the quality of student experience. I’m interested in exploring and developing effective ways to assist the management of University-Student Union, and how to develop and work toward goals in order to enhance student life on campus. I’m enthusiastic to connect with students, staff, and members in the community, and how we can work together to create effective changes for the university. 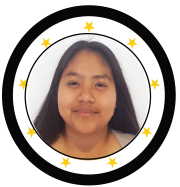 I want to strengthen the relationship of U-SU with students by making sure that their voices are heard clearly, how to make these resources and services more accessible, and how to build a stronger community together at Cal State LA. I would like to be a positive difference-maker not only on campus but also in the community here at Cal State LA. If selected for this position, I would be honored to serve on the U-SU Board of Directors. 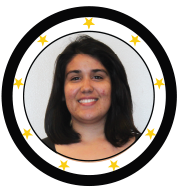 As an active student leader here at Cal State LA I believe I am qualified to be a part of the U-SU BOD because of the excellent leadership skills I have learned, my connection with my community, and work as a representative of the campus. 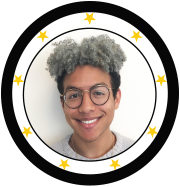 I am currently the president of The Queer Connection, a student Ambassador for our campus, and an active participant in many of the events and programs offered by the U-SU. My goal as a board member would be to increase community engagement and student professional development. 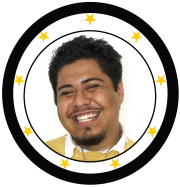 I would help promote community engagement by advocating for programs and events that encourage student discourse on various issues and topics that concern marginalized communities such as the Latinx, LGBTQ, and African American population. To help promote student professional development I would help push for programs and workshops that helps students prepare to navigate the professional field post-graduation. It would be an honor to serve as one of the University-Student Union Board of Directors. As a first year Honors College student, I’ve made it a priority to attend various events such as ones hosted by the Cross Cultural Center and Center for Student Involvement. I’ve experienced how these events have allowed students to become more active on campus and become engaged members of the Cal State LA community. I am passionate about encouraging this student involvement and engagement by continuing to strengthen the positive relationship between the University-Student Union and community alike. I look forward to reaching out and connecting with the Cal State LA students, faculty, and community members to ensure their voices are heard. Whether it be to provide improved or new events, resources, or services, as a U-SU Board of Directors I want to stress the importance of effectively and consistently offering support, advocacy, and management towards the University-Student Union. Ultimately, I hope to build a supportive and strong environment at the U-SU that will continue to foster and encourage Cal State LA pride and community involvement. Hey! My name is Koralen Xavage. I am currently a Business Administration major optioning in Healthcare Administration. I am currently a Peer Health Educator with the Student Health Advisory Committee. I am employed as an Orientation Leader under the New Student and Parent Programs. I am an active member of Hermanos Unidos at Cal State LA. I was also involved in this year’s CSI’s leadership retreat to Lake Arrowhead. While I am a Business major, I continue to progress on my interests outside. I am pursuing this position because I want to be involved within our university’s community as a positive influence. I want to continue to develop myself so I can continue to thrive and give back. The University-Student Union Board of Directors is the governing board for the Student Union comprised of faculty, staff, and eight elected student leaders. The Student Directors represent their fellow students, build relationships with individuals across campus, and enact the mission of the Student Union and help to make the University-Student Union the best it can be! Attend U-SU Board of Directors meetings. Meetings are held on the second Friday of each month at 2 PM The term of this appointment is July 2019-June 2020. Represent other students by actively seeking out their opinions on U-SU programs, services, and building use. Chair and/or serve on at least one U-SU standing committee. Participate in U-SU programs and events as your schedule allows. Interact with Board members, U-SU staff members, student assistants, and guests to the building so together, we can enhance the services currently offered. 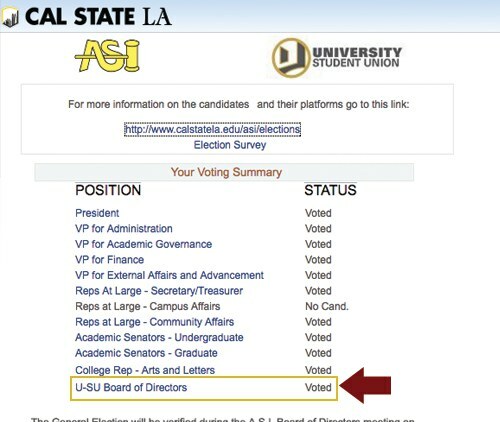 What is the difference between the U-SU Board of Directors and A.S.I.? University-Student Union on campus. The Board of Directors is comprised of 16 member, 8 Student Directors, who are tasked with overseeing the Student Union, which includes the Cross Cultural Centers, Center for Student Involvement, Xtreme Fitness, and other departments that support student development on campus. A.S.I., or the Associated Students, Inc. is the student government for the University. A.S.I. 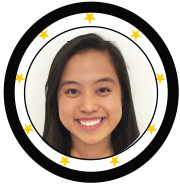 serves as an entity for student input in governance on campus, oversees club and organization funding, and provides discounted tickets to local attractions, among other responsibilities. Both the University-Student Union and A.S.I. are non-profit auxiliaries on campus. They differ in structure and purpose. For more information about each, please visit University-Student Union and A.S.I. Have been enrolled at Cal State LA and completed two quarters prior to applying. Have earned no fewer than 9 quarter units of academic credit during that year prior to consideration. Have earned a 2.0 or better grade point average during the 12 months immediately preceding the quarter in which the appointment occurs. Have earned 8 quarter units per period of continuous attendance as a new graduate student to be eligible. Develop your leadership & communication skills. Build your academic and professional resume. Network with campus administrators, staff and other students who serve on the BOD. Inﬂuence the future of the University-Student Union as you provide opinions on existing programs, services, and policies. Meet new people and develop long lasting relationships with a diverse group of people from across the campus. I Have More Questions About Applying. Who Do I Contact? For more information on the application process, please visit the University-Student Union administration office in room 306 or call Joe Sedlacek, Assistant to the Executive Director, at 323.343.2461.